Energy Ventures is a division under Tenaga Nasional Berhad (TNB) housing all our energy subsidiaries. TNB has quite a few energy subsidiaries, such as REMACO, TNB Fuel, TNB Energy Services and TNB Engineering Corporation. Each is a vital entity in the TNB family, and they all come together to provide better service for all of TNB’s customers. Read on for more information. TNB REMACO is recognised as Malaysia’s premier utility specialist. TNB REMACO is recognised as Malaysia’s premier utility specialist. We offer services in the repair and maintenance of energy-related industrial equipment with special emphasis on power plants e.g. gas, steam, hydro-turbines, boilers and generators. With a proven track record spanning 30 years, we are now committing resources to build a trusted reputation overseas; to date we have made significant inroads in Saudi Arabia, Yemen, Pakistan and Kuwait. TNB Fuel (TNBF), under the Energy Ventures division, is a wholly owned subsidiary of Tenaga Nasional Berhad (TNB). TNB Fuel (TNBF), under the Energy Ventures division, is a wholly owned subsidiary of Tenaga Nasional Berhad (TNB). Our core business is in supplying coal and fuel to TNB Generation and Independent Power Producers who work with us. Manjung The Manjung coal-fired power plant produces up to 2,100MW from its three 700MW units. Sited on a man-made island off the coast of Perak, coal deliveries are made much easier. As such, the new plant is helping Malaysia keep pace with the rising demand of electricity. Kapar Despite being one of the nation’s top producers of electricity, generating over 2420 MW, the Kapar Power Station doubles as a host for thousands of migratory waterbirds. This year-round phenomenon testifies to our commitment to producing the most energy while protecting the environment. Tanjung Bin The 2,100 MW power plant at Tanjung Bin, Johor, is the largest privatised coal-fired power plant project under the IPP programme. TNB Energy Services Sdn Bhd is a wholly owned subsidiary of TNB specializing in the provision of green energy solutions and services for the development, consultancy, operation and maintenance (O&M) of Renewable Energy (RE) projects. Said solutions and services include Solar Hybrid Systems (SHS), Solar Farms, Building Integrated Photovoltaic System (BIPV), Mini-Hydro Systems (MHS), Biomass and Biogas. TNB Energy Services Sdn Bhd is a wholly owned subsidiary of TNB specializing in the provision of green energy solutions and services for the development, consultancy, operation and maintenance (O&M) of Renewable Energy (RE) projects. Said solutions and services include Solar Hybrid Systems (SHS), Solar Farms, Building Integrated Photovoltaic System (BIPV), Mini-Hydro Systems (MHS), Biomass and Biogas. 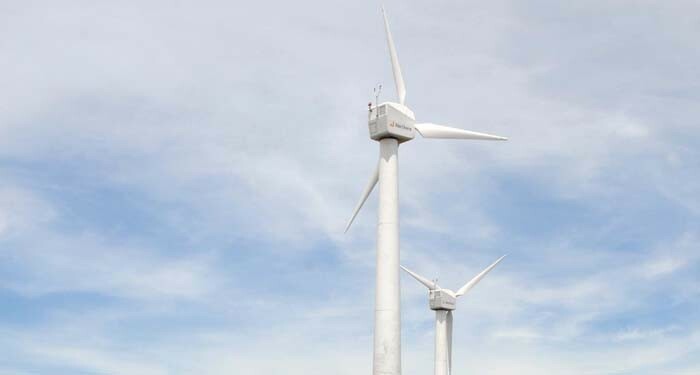 Additionally, the company also provides Engineering Consultancy Services such as Energy Efficiency (EE), Power Quality (PQ) System, Power System Study (PSS) and Interconnection Facilities for new RE Plant. Established in 1993, TNB Engineering Corporation has built its reputation as a trusted utility player with provision of thermal energy storage district cooling systems, co-generation systems, facility management systems and other new green-related technologies. Established in 1993, TNB Engineering Corporation has built its reputation as a trusted utility player with provision of thermal energy storage district cooling systems, co-generation systems, facility management systems and other new green-related technologies. Other key services include project development, ownership, energy procurement and construction as well as operations and maintenance.